This guide will walk you through the steps to taking your website from OK to great. Traffic trends over time, intra-week, and intra-day. Are there certain months that are busier than others? Are there days of the week, or times of day when shoppers are more active? This can inform when and how you promote special offers, new products, etc. on the site. Top performing pages. What products get the most visits, and/or the most sales? Is there other content on your site (blogs, contact us) that does well? Use this information for budget allocations and to guide new content being added to the site. Bounce rate. Are there pages or products that have a higher than usual bounce rate? Review those pages to see if there are reasons for the bounces, like poor images, not enough descriptive copy, a lack of reviews, etc. Ecommerce report. Are there products that get a lot of views, but not a lot of purchases? What’s your completed purchase vs. sessions ratio? 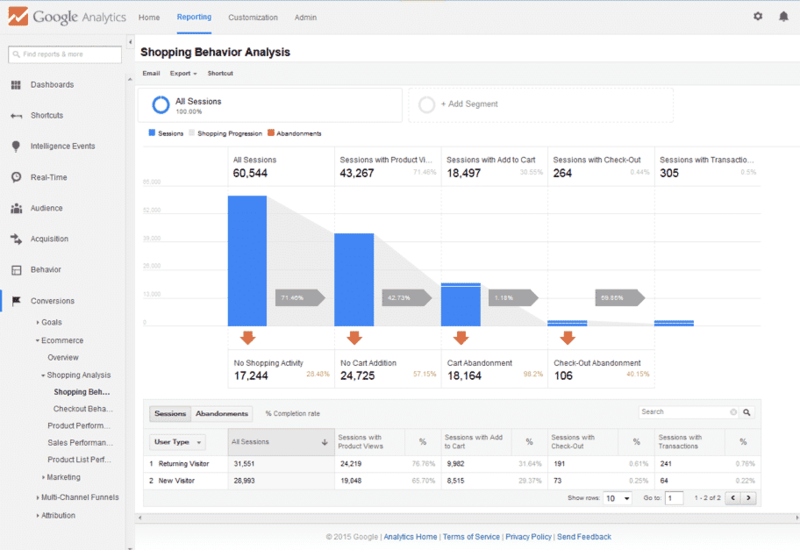 This report can show issues with the overall site flow, the cart process, and/or with specific product pages. 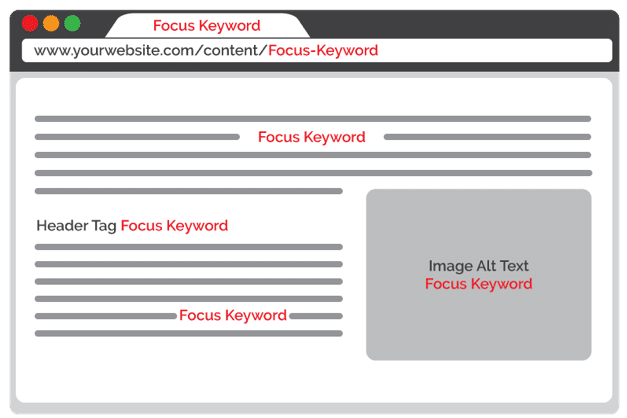 Do keyword research to understand how to name categories and subcategories for the best chances of your content ranking on the search engines. Optimize on-site elements like URLs, title tags, and body copy. Don’t forget local SEO if you also have a brick-and-mortar store. Get more ecommerce SEO tips here. 3. Review your responsive template. Keep buttons and clickable text big – big enough for clumsy thumbs to manage. Keep navigation simple and clean – use a drop down, expandable menu that’s easily accessible (those three little lines, called a “hamburger navigation”, work well). Use a simple font that will be easy to read on a small screen. Review the responsive page layout and adjust based on how you want your content displayed. And remember to make CTAs prominent. Keep your site structure fairly flat. This means that it’s easy to get to all of your pages and doesn’t require too many clicks. Use categories and subcategories to help users quickly drill down to the exact products they’re interested in. 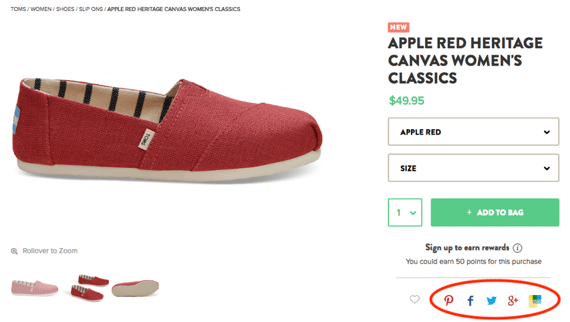 Optimize your product detail pages for shoppers. That means using high quality product pictures, 360 views, detailed descriptions, and reviews. Read our global survey, Shopper Story 2017, for more details on what shoppers said they were looking for. Offer free shipping if you can. According to a BigCommerce survey, 66% of online shoppers have decided not to buy an item because of shipping costs. If you can offer reduced or free shipping, you should. If you have a brick-and-mortar location, consider giving shoppers a click-and-collect option where they can order online and pick-up in a store. Incorporate social. Add social share buttons to your product pages, and if you don’t already have one, build out your social media presence. Click here for tips for marketing on the top 3 social media networks. That’s it! 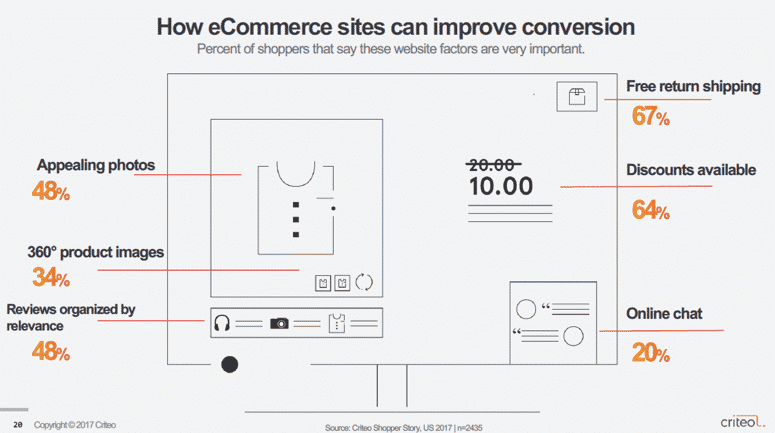 In just 4 simple steps, your website will be working harder to drive more sales. To learn more about how Criteo drives sales and profits for thousands of brands, retailers, and publishers worldwide, visit Criteo.com/about. For more marketing content, including exclusive research and cutting-edge tactics, visit Criteo.com/insights.